El español Peña Campo gana la 2ª posición absoluta en la categoría T3 del Rallye du Maroc y mantiene el liderazgo en la Copa del Mundo. González y Knight finalizan tercero y cuarto (siempre en T3), mientras que el mexicano Garza Rios se ubica en el puesto 11 entre los SSV. Próxima carrera: la Baja Portalegre, en Portugal, del 25 al 27 de octubre. Fès, Morocco (October 9th) – Xtreme+ concludes the Rallye du Maroc with a second, third and fourth place in T3: after 5 stages, including 3 boucles at Erfoud, and 2.051 km between liaison and special stages, the Spanish Peña Campos wins the silver medal in the category T3 maintaining the provisional command of the World Cup. But the excellent result achieved by Marco Piana’s team also saw the other two crews registered in T3 on the podium (Gonzalez) and in the top five (Knight). 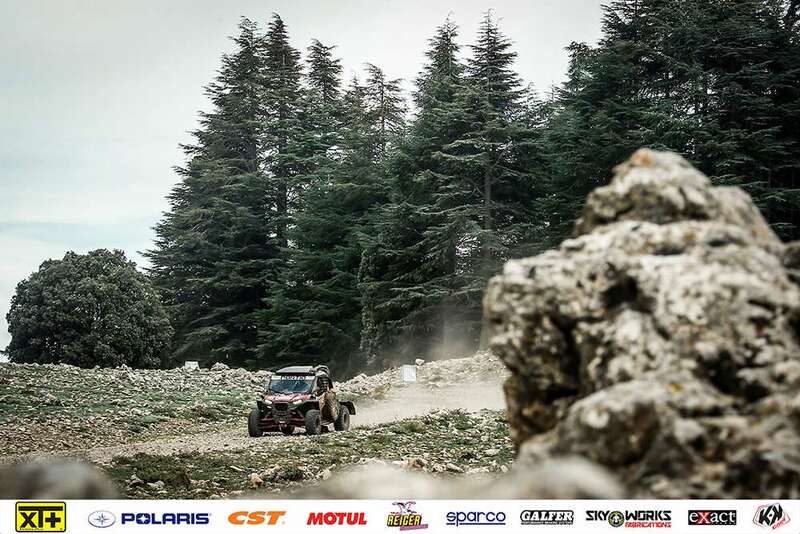 Once again to win the best time in T3 for the French team of Gorrevod was José Luis Peña Campos, on Polaris RZR 1000: the Spanish rider, sailed by Rafael Tornabell Cordoba, crossed the finish line of the fifth and final stage of the Rallye du Maroc in 3h33’12”, a time that allowed him to conquer the 12th place in the overall and the 2nd step of the T3 category. “Unfortunately the last stage of the rally was not very lucky for the Spanish crew because of a physical discomfort that created some problems to Rafael again – explains the team manager Marco Piana – A wrong note made them end up by a oued overturning their Polaris: to help them put the vehicle back on its wheels was Santiago Navarro (winner of the race in T3) to which go all our thanks because he showed great sportiness losing valuable time for his result and knowing that behind Peña Campos the teammate Vincent Gonzalez would have stopped to provide assistance to him”. Twentieth in the stage from Erfoud to Fès, after 128 km of sand and fast tracks and a last sector of 70 km in the direction of the Atlas massif, Vincent Gonzalez and Stephane Duple (Polaris #362) concluded their participation in this edition of the rally organized by David Castera with a time of 3h33’55” winning the third absolute placement in T3 just behind Peña Campos. Graham Knight and David Watson, on Polaris RZR 1000 #363, were classified fourth, again of T3: despite some difficulties in navigation, the British driver and co-driver were the protagonists of a good race proving to have grit and determination by cutting the final goal of their first real motorsport competition. The Toyota KDJ120 of Marco Piana and Steven Griener, in the race to provide fast assistance to the other crews of the team, stopped the clock of the 5^ special in 3h49’38” placing finally 18° in the overall of the rally. Gospodarczyk, on the Polaris RZR 1000 Turbo, won the fifth place finish in 3h16’06”: the adventure of the #202 crewman of Xtreme+ ended with an eleventh absolute placement. Despite some initial problems due to driving a bit ‘wild, already in the last special Garza Rios managed to contain his impulsiveness showing that he can make good results. 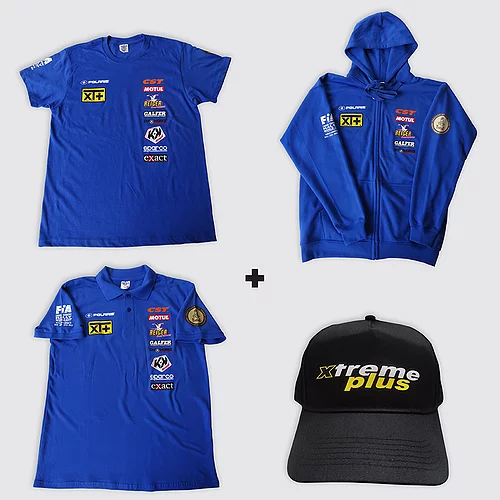 Returning from Morocco, the mechanics of Xtreme+ will be at work in the French ateliers near Mâcon for maintenance work at Polaris in view of the next engagement that will see the crews at the start of the Baja Portalegre, scheduled from October 25th to 27th in Portugal.